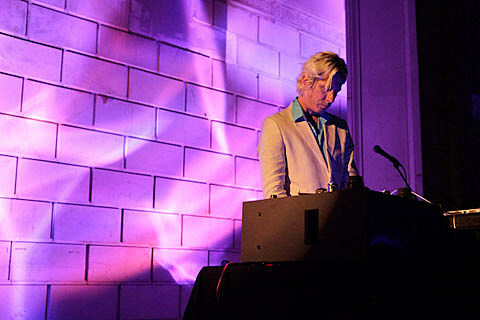 William Basinski‘s “The Disintegration Loops” will illuminate the Temple of Dendur at the Metropolitan Museum of Art on Sunday, as part of a FREE show “for the people of New York City on September 11″. Basinski will not be in attendance but Maxim Moston’s live orchestration of his piece, as well as works by Ingram Marshall, Osvaldo Golijov and Alfred Schnittke, will be highlighted by the Wordless Music Orchestra (as previously mentioned). If you can’t make it to the 3:30PM showing, then catch the webcast. After the webcast slide on over to VH1 (on the web or on your telly) to catch a rebroadcast of the 9/11 tribute concert that originally aired on TV 10 years ago. Also slated in rememberance of 9/11 is Music After, a marathon of music that kicks off at 9:18AM and lasts until midnight at Joyce SoHo (155 Mercer Street). The show is FREE, and will feature a plaethora of performances from names like Laurie Anderson and Nicole Atkins performing works by David Bowie, David Byrne, Lou Reed, and many many others. Full list of performers and the composers are below. And finally, opera singer Jessye Norman will not sing but speak spoken word at “A Concert of Commemoration, Honoring the 10th Anniversary of 9/11″ at 2PM on 9/11 at Avery Fisher Hall in Lincoln Center. More than 600 musicians will join the not-singing vocalist including England’s Really Big Chorus, with the concert highlighting “iconic music of war and peace”. Tickets are on sale. Patti Smith played a concert to remember 9/11 last night. How was that?